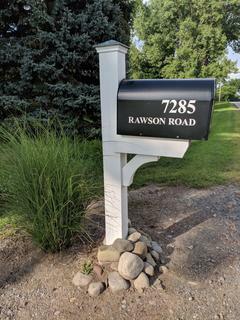 Mailboxes Plus provides sales, installation and service of our posts and mailboxes. 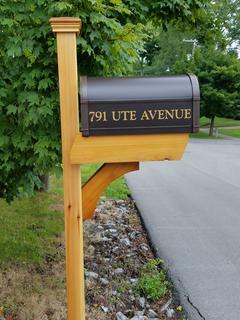 We carry a wide variety of wood, vinyl and aluminum posts with steel or aluminum mailboxes. 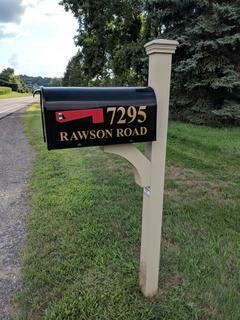 All mailboxes are lettered with a vinyl sign-quality lettering in your choice of color and font. We make our own wood posts at our shop in victor. Choose a mailbox from the steel category or one from the aluminum tonsets. If you are looking for an aluminum post, it is best to choose a mailbox from the same page. Don't hesitate to call with any questions. We look forward to hearing from you. Our installers are fully insured. We participate in safety programs and provide monthly safety training. The postal regulations are closely adhered to.